I have made this platz many times and it's a favorite here. It is also a nice size to bring to potlucks. My g'daughter came to see me today and I thought it was time she learned to make platz. She claims she doesn't like to cook or bake but as you can see she did a great job! Sift dry ingredients together and with a pastry blender mix in the butter. Add the cream and slightly beaten egg and mix well. Pat out on a greased 10 x 15 inch pan. (approx) Wet hands to do this as the dough may be a bit sticky. Put on a layer of any of the following fruits: cherries, plums, apples, apricots, rhubarb, blueberries or any fruit in season..frozen fruit works too. 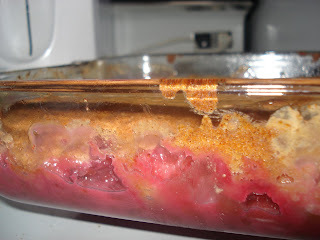 My g'daughter used rhubarb. Mix well with a pastry blender..it will be crumbly. If you want coarser crumbs just mix in a bit of cream. Sprinkle thickly over the fruit. Bake in at 375º for 30 minutes. It is also very good served warm with ice cream. Are you thankful for your tongue? Like all most parts of my body. . . it has an valuable function. . well actually two really important functions. As someone who loves to cook and bake I rely on the taste buds of my tongue to tell me how much seasoning and spices to add to my dishes. I feel quite confident in the function of my taste buds. The other function of my tongue has me often less satisfied with the small degree of control I seem to have on this part of my body. In the church we attend we have been doing a study in James. It didn't surprise me to find that this would be a rather uncomfortable study for me. . .
since it challenges me to be consistent in who I say I am. ..
and sometimes the stark reality of how I behave. This week I was reminded again on how bridling my tongue is still one of the most challenging parts of my character development. Why do I still believe that my opinion is so important? Why do I still have such a hard time listening instead of thinking ahead of how I will reply? Oh Lord Jesus. . .. I want to have a life that is honouring to you! I'm so thankful for forgiveness. . .and for new beginnings. With joy and thankfulness. . .I praise you oh Lord. . . 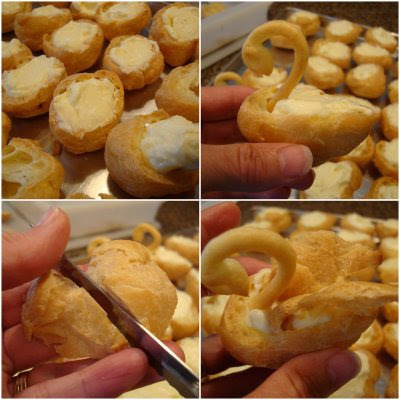 I got this recipe from my friend Wanda Enns. When she offers to bring something to a potluck, she is most likely to be asked to bring a dessert. That woman can bake! More often than not she makes something that no one has ever tried before, which is always a treat. I have been making this recipe for years and is enjoyed by all. Spread in a well greased 9x13 pan. Add egg, continue beating, add vanilla. Sift together dry ingredients, add alternately with milk. Dollop the dough over the rhubarb and spread gently to cover. I used jello and sugar to get that nice red color. Always a favourite in the summer, a spinach salad is as varied as those who make it. Here is the way I make it - with a few options so you can choose. The amount of each ingredient will depend on how many you are serving. Chop bacon into pieces and fry until crispy. Remove 2 tablespoons. of the bacon fat and set aside in a small bowl. Remove bacon to paper towel and set aside. Saute' red onion and mushrooms in a bit of butter only until wilted. Set aside. Make dressing* - You'll notice there is a lot of tasting going on here. I've listed the basic ingredients but feel free to adjust it to your liking Whisk all dressing ingredients together in pan and heat gently until warm. Assemble salad. Arrange spinach on a large platter and layer the other ingredients adding the shredded cheese and green onions last. Garnish as desired with egg slices, red pepper slices and a sprinkle of almonds. Serve salad immediately with the dressing on the side. *Or you can use bottled honey Dijon or creamy dill dressing. Having a freshly baked pie to serve after a meal is always a treat for family and friends. When I make this pie I have the crust baked earlier on in the day, and then make the filling and brown sugar meringue not more than 2 hours before I will be serving it. I got this recipe from my mother in law's recipe collection. She is known for her wonderful pies. For the crust she uses the recipe on the Crisco box, but I use the recipe on the Tender Flake box. The key to a good pie crust is to not over mix, and to insure that your liquid and shortening are very cold. So experiment and find the one that you like best. I always make the full recipe on the box and roll out and fit pie plates with the crusts for future use. They freeze very well, and it is so handy to just pull out a frozen shell and bake it for a fresh pie. Place first 5 ingredients in a microwaveable bowl and whisk together well. Microwave for 3 minutes and stir well. Microwave again for 2 minutes and stir again. Mixture should be thick and bubbly. Depending on how hot your microwave is you may need to heat another minute or two. Make sure it has bubbled well, thickened and very creamy... but don't over cook it. Once it is done, add the butter and vanilla. Give filling a good whisk and pour it into your cooled pie shell. Beat ingredients together in a metal or glass bowl until stiff peaks form. It is very important that when you are beating egg whites that your bowl is completely dry and also that you have no egg yolk in the whites. Pile the meringue on top of the hot filling and spread it to cover the entire surface of the pie. Bake in 400º oven for 5 minutes or until golden brown. Never walk away from meringue as it browns very quickly. Remove to a cooling rack. Do not cool this pie in the fridge because you will loose the creamy texture of the filling. It is best served just before it is completely cooled. Coleslaw can be a nice change from a green salad or a great addition to, when serving a larger group. 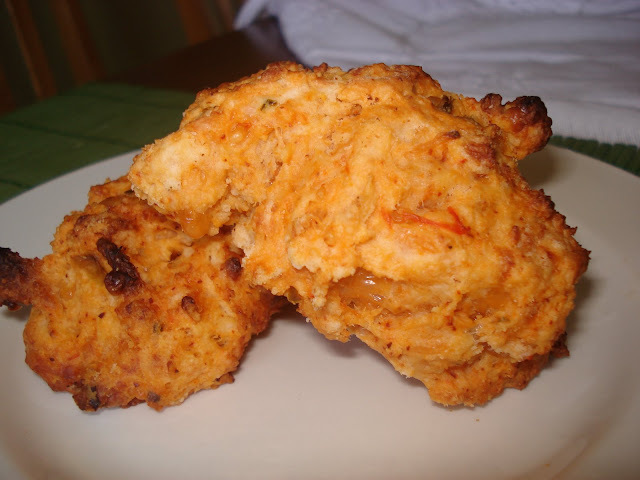 I like serving it with BBQ’d chicken or hamburgers and the recipe I always go for is one I grew up with. I make the dressing ahead if I know I will need it, but it’s simple enough to make last minute too. In a saucepan, mix dry ingredients. Add egg and stir well. Stir in vinegar and water. Bring to boil, stirring constantly. Stir in the butter. Cool. 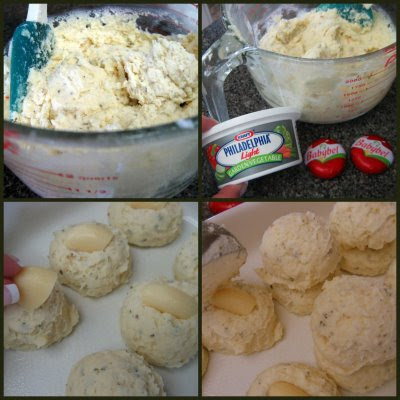 Mix with 1 cup sour cream. Refrigerate until needed. Mix with freshly shredded cabbage and carrots just before serving. This recipe is enough dressing for 2 - 3 lbs (2 - 3 bags) of shredded cabbage/ carrot mix. You can add chopped apples and/or raisins, and sprinkle with sunflower seeds. Serves about 20 when served with other salads. I often only cook half the recipe, still using 1 egg, for 1 bag of cabbage or a small 1/2 head freshly chopped cabbage. Here's a simple summer full-meal salad that we have enjoyed often over the past few years. Basil and tomatoes give that wonderful flavour of summer. Add pepperoni, mozza, a cubed baguette and fresh Parmesan cheese; toss together with lettuce and dressing and call it a meal. This recipe was originally a Kraft featured dish. It's been changed up a bit. Toss together dressing, chopped tomatoes, basil. Toss lettuce, cubed baguette, pepperoni, mozzarella, and tomato mixture. 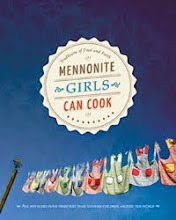 As many of you may be aware, we are a group of ten ladies that contribute recipes to the Mennonite Girls Can Cook blog. 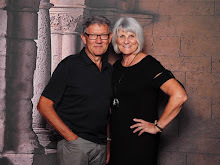 When we started this blog just over one year ago...most of us did not know each other. It has been a fun adventure, cooking together in our virtual kitchen and getting to know one another along the way. Yesterday, the seven of us that happen to live in the same vicinity, were treated to a most special luncheon at the home of Anneliese. She was a most gracious hostess, looking after every little detail and including 'place cards' for the three gals who were not able to join us. There was much to talk about, including our dreams that this blog be used in some way to feed the less fortunate. (We are still working on that one!) We had a wonderful time and when we left the lunch table it was nearly time for dinner. Thanks, Anneliese, for a great afternoon! I hadn't made bagels in a long time and decided it was time to make them again. This recipe is found in 'Sadie's Recipes and Reflections'. 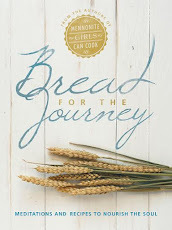 The recipes in this cookbook are shared by Sadie Warkentin, a wonderful person as well as a very good cook! I found this recipe to be easy and fast. I did change it up a wee bit, hers were a plain white bagel and mine are multigrain. You could use different flours and also add raisins, dried cranberries or other dried fruit of your choice. Knead for 8 minutes until well mixed and you have a smooth dough. You may need 1/4 cup extra flour to make a smooth dough. Divide dough into 12 pieces. Take each piece and roll it into a long roll with your hands. Curl it into a bagel shape and press ends together to stay in a circle. Place on greased pans and let rise until doubled. Prepare a pot of boiling water to which 1 tablespoon sugar or molasses has been added. Once the bagels have risen to double in size carefully lift them off the pan and drop them into the boiling pot of water about 3 at a time..leave them in for a few seconds, scoop them out and and place them on a parchment lined baking pan. 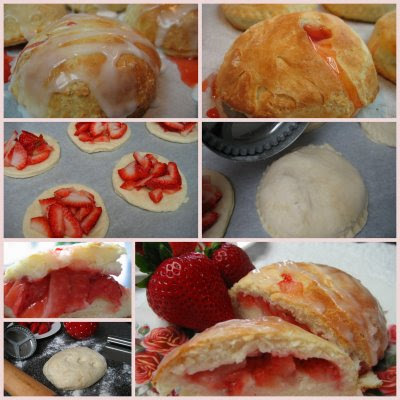 Bake for 30 to 35 minutes at 375º. This recipe I got from a Lutheran Church Cookbook and there is no doubt in my mind the Lutheran Girls can cook too. I have gotten so many good recipes from this book. 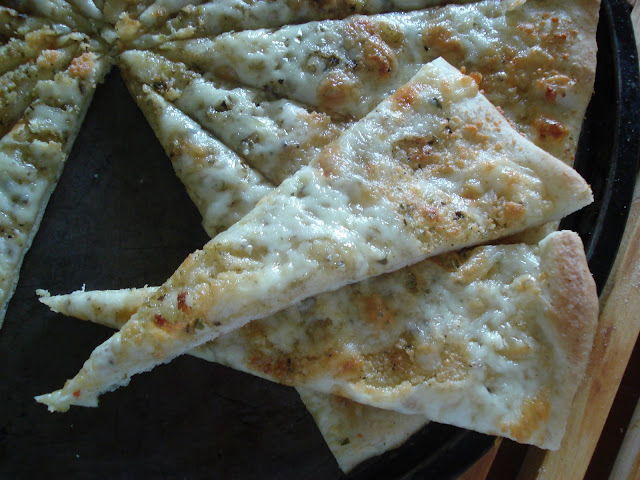 Today I want to share this tasty flat bread that is a good addition to an Italian meal instead of Garlic Bread. Mix all ingredients in a large bowl with a spoon. Knead in 1/2 cup flour if needed. Form in to a ball. Cover and let rise for 20-30 minutes. Spread dough on to a greased pizza pan. Mix spices in a bowl. Brush with 1/3 c. Italian dressing (I have used Ranch and Caesar Dressings just for variety). Sprinkle with the spices over the dressing. Top with Parmesan Cheese and grated Mozzarella (light cheese). Bake at 450 for about 15-20 minutes. A tasty appetizer or snack for any occasion. 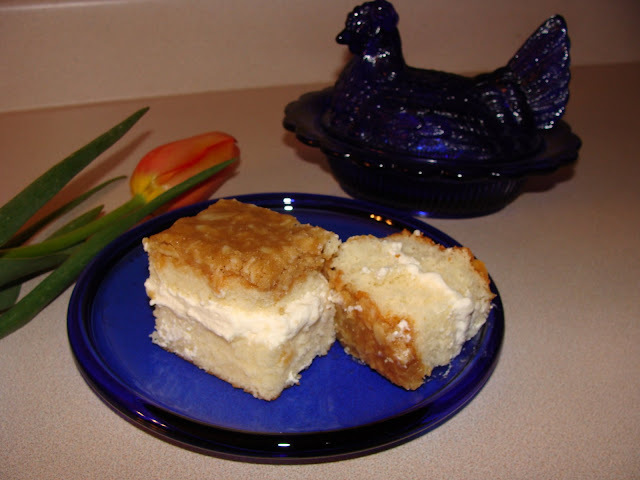 Every Mennonite recipe book needs at least a few different recipes for Rollkuchen. . .and that way when you are out of ingredients for one of the recipes. . maybe you'll have the ingredients for another. . . This recipe is my mother in laws. . .and I've been making it this way. . .for 31 years. . .with no complaints. Letting it sit makes it so much easier to roll out.Rolling it thin, makes a crisper roll kuchen and leaving it a bit thicker makes for a softer roll kuchen. 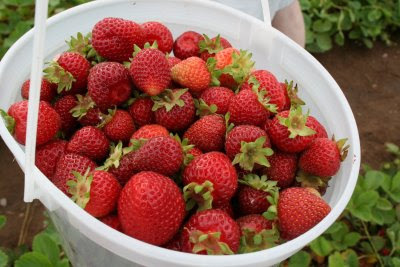 No doubt you'll be making them a few times in summer, so you can experiment on how you prefer them. Because the dough is rich, its very easy to work with. No sticking problems.Cut the dough into about 3 -4 long strips and then cut across to make rectangular shapes. Cut 2 slits in the middle of each so that they don't become one big balloon in the hot fat. You can also cut one slit. . .and pull the dough through. . .for a change. Heat some fat up in a large pot. I use Canola Oil. When the fat has little bubbles coming to the surface, it is likely hot enough, but put in a small piece of dough to test it. It should start to bubble around the dough quickly and rise to the surface. Put the fried rollkuchen on paper towels to cool. 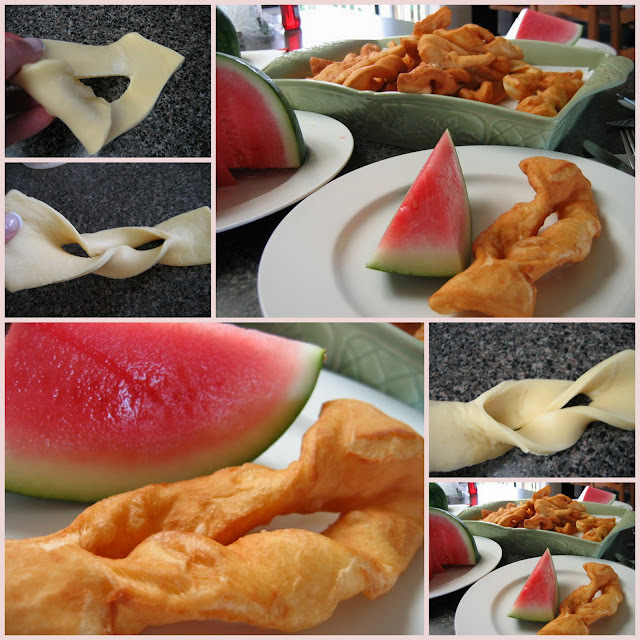 Serve with Cold Watermelon. ..and some Rogers Syrup on the side. Summer time is the perfect time to throw some ribs on the grill .. .but I still always feel they are more tender if they are braised first in liquid. So. . .with a crock pot that doesn't add any heat to the house. . . the ribs are tender perfect. This recipe allows for a company. . .but if you forgot to invite some over. . . just put the cooled ribs in freezer bags and you'll have a few freezer dinners ready. The sauce I use now is the sauce that Marg puts over her Baron of Beef. The flavour is awesome. This recipe require two days. . .but very little prep time. enough pork side ribs of your choice to fill your crock pot. Cut the ribs into individual serving pieces. Put the ribs and onions in the crock pot. . . it can be quite full . . the sauce will fill in the spaces. Combine all the sauce ingredients except the BBQ sauce. Pour over the ribs and turn to high. .. .and turn down to low once it is simmering. Turn off at the end of the day .. . .allow to cool. . .and refrigerate. The next day. . .remove from the refrigerate. . .and remove all the fat that has solidified at the top of the ribs. 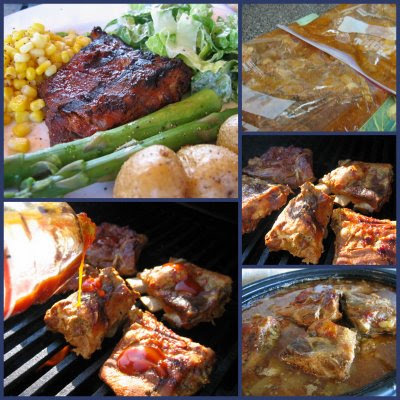 The grilling only takes 20 minutes. . .long enough to baste with BBQ sauce and allow to brown. The sauce in the crock pot. . .can be heated in a sauce pan and thickened with 2 tablespoons flour to a cup of cold water. Bring to boil .. .and stir until thick. If you want to freeze some. . . only grill enough for the first day. . .allow the rest to come to room temperature. Put in freezer bags and freeze. My daughter enjoyed making this wonderful dinner for us, knowing it was new to us, since she got the recipe from her mother-in-law, Kathy, whose expertise is Italian cooking. She has introduced us to cooking with wine and olive oil and always having fresh rosemary on hand. (I freeze it and cut it fine with kitchen shears) Using one small tenderloin, this makes dinner for two. Quarter unpeeled potatoes. Place in well greased or foil lined baking dish. Drizzle/sprinkle with olive oil, garlic salt, salt, pepper and rosemary. Toss. Bake at 400º F for 45 minutes or until done. You can mix in chopped carrots and cook the vegetables for 5-10 minutes before roasting, to cut down on time. You can put frozen beans alongside the potatoes, mixed with olive oil and crushed fresh garlic. Fifteen minutes before veggies are done, slice pork tenderloin into 1/2 inch slices. Heat a pan with 1/4 cup white wine. Add meat. Sprinkle with leaves of 3 sprigs of rosemary, garlic powder, salt and pepper. Cook at medium - high heat, turning once, until done (about 10 min). Optional: drizzle with olive oil while cooking or balsamic vinegar near the end of cooking. Serve with roasted vegetables and a salad. My mother-in-law was the best cook and left me with many wonderful recipes, which now remind me of her whenever I use them. One of the first recipes she ever shared with me was a simple pineapple cupcake recipe. I baked them up often for 'my girls' at Pioneer Clubs back in the day and they were always a favorite. I had all but forgotten about them until I saw the handwritten recipe in my book the other day and made up a batch for old-times sake. They are still every bit as good! Cream butter and sugar. Beat in eggs and vanilla. Blend in pineapple; then add dry ingredients and beat until blended. Fill muffin cups 2/3 full...and bake at 350ºF for about 20 minutes. In a medium sized bowl, beat softened cream cheese and butter together on medium speed until creamy. Add icing sugar 1/2 cup at a time and beat after each addition, scraping the sides of the bowl when necessary. Beat until smooth and fluffy. With mixer on low, add vanilla and milk. Add a little more or less milk...as needed to obtain proper spreading consistency. This is a mild cream cheese frosting...to fool those who claim not to like cream cheese. If you prefer your frosting cheesier, use the entire package of cream cheese, rather than half. They are perfect for afternoon tea out on the front porch...or an easy treat to pack for a picnic. If you click on the picture, you can see the cheese melted right in among the chunks of salsa and makes a nice addition to any meal, winter with soup or stew and summer with a fresh wholesome salad. 1 1/2 cups of flour using whole wheat for half. Gently mix all ingredients together in the order given. Drop biscuits on to a lightly greased baking sheet. Bake @ 400 degrees for 12-15 minutes. NOTE: I find that sometimes I may need to add a little more milk to make them the consistancy I want to have a soft moist drop. It seems as though the humidty has something to do with it. We were served this for brunch at our football reunion at Wilderness Edge a few years ago..it was so delicious and the cook was kind enough to share the recipe. This is a large recipe but could be cut in half very easily. Mix well and pour into a greased 9 x 13" pan. Bake at 350º for 30 min. After you take it out of the oven wait a bit so that it can set before you cut it. Serve warm with milk and cinnamon. You could add raisins before or after it is baked. 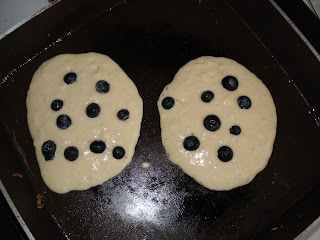 I chose to eat it with a large dollop of vanilla yogurt and some slightly thawed blueberries... fresh would be really good but at this time of year they are too pricey in the store. Time sure does fly when you are busy. . .and having fun! 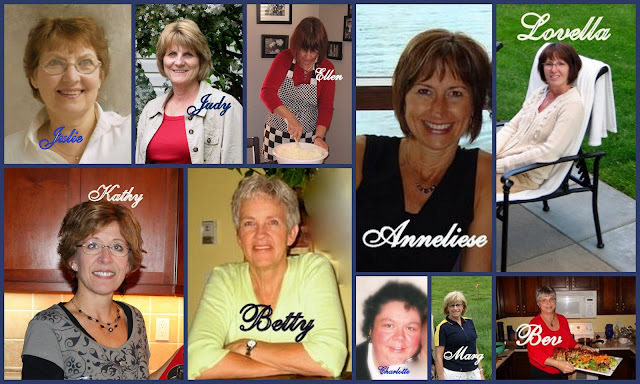 It is hard to believe that the MGCC blog first began pumping out family recipe favorites one year ago. 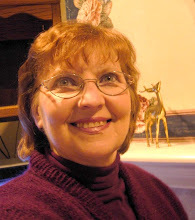 With a simple idea and a few willing friends, I pressed the "create a blog" button and . . .
you began to show up. . .
looking in our kitchen windows. . . .
often remembering what your mom used to make in her kitchen. We've learned so much ourselves. . .
testing recipes and reworking some that have nearly been forgotten. We've had great fun learning to photograph food. . .
and learning how to best post a recipe. Behind the scenes of our kitchens. . .
Over the years, my circle of friends has had one constant. . .
it has reflected the stage of life that I am in. Many friendships will remain forever. . .and nothing will sever those ties . .
but God continues to bless me with new friends. . .
today some of my dearest friends are those that share my passions. 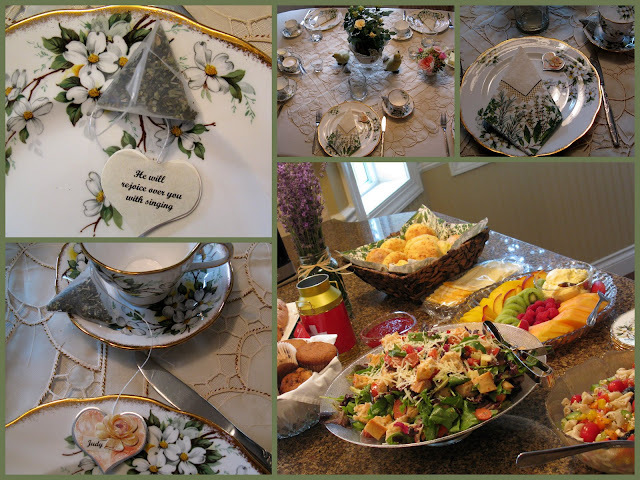 This year blogging has taken a new turn for me . . .I have learned to entertain guests in a whole new way. It is a little like playing make believe .. .
and in a sense. .
we don't really know who is sitting at the table of Mennonite Girls Can Cook. Making this journey incredibly meaningful and special. ..
has been a group of ladies who like me. .
love to open up our homes to . . . Without you. . . it would be no fun to cook. . .
You have made this blog complete by encouraging us. . .
and tapping us on the shoulder when you think you might recognize us in the community. The "girls" that write this blog have our own email address so that we can easily communicate ideas and questions and joys and concerns. . . and several times a week. . .
we chat back and forth. God has blessed us tremendously with the gift of friendship. . .
and that has been perhaps the biggest surprise. For the past while. .
we have sensed that God has a bigger purpose for our blog. In the next while we will be "entertaining" ideas of of how this blog can have a greater purpose of giving back to God. We feel burdened for children around the world that have not any food to eat. Whatever we decide to do. . .we are committed to give 100% of the proceeds to a charity that we have yet to determine. All of the contributors to this blog share another common bond. We all believe that Jesus Christ came to save the world. In Him we have a peace that only he can give. . .
and in Him we know that though we live in various different places in North America. 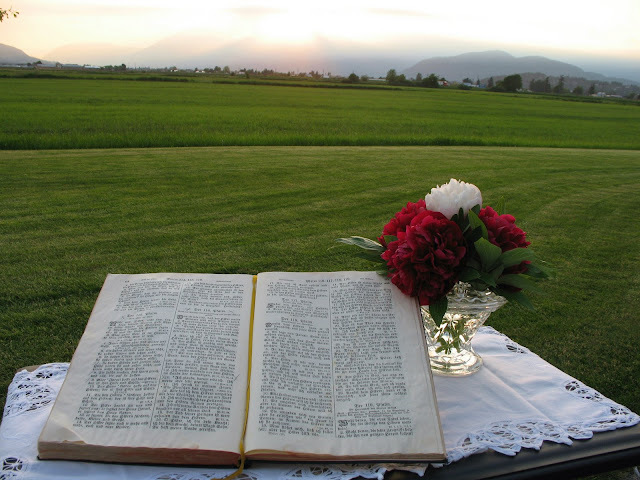 . .
after this life on earth is done . .
we will be sharing the greatest feast of all together in Heaven. None of us know what the next year will hold . ..
nor do we expect it will be free from struggles and challenges ..
but as friends . . .
we will stand together . .
working in our kitchens . . .
being an encouragement to each other. . .
and it is our prayer that this blog will also be an encouragement to you. It has been my profound pleasure to create and administrate this blog. I know that the contributors join me in humbly saying thank you for sitting at our table with us. . When I was growing up, my mother always made "german pancakes" that was typical in our Mennonite culture. 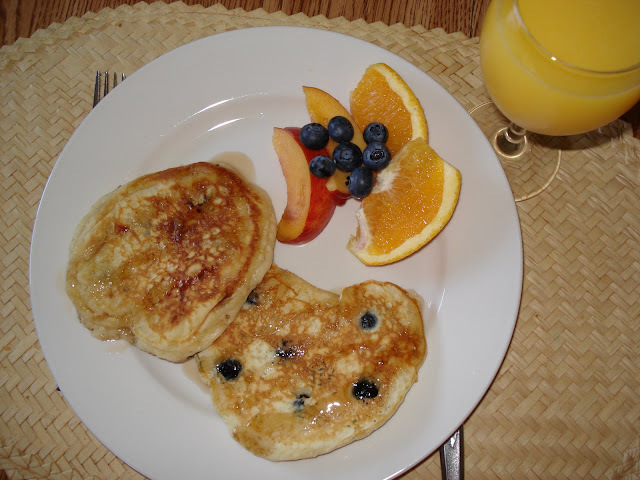 I was married with children before I ever made "fluffy pancakes" or what is known as Buttermilk Pancakes. 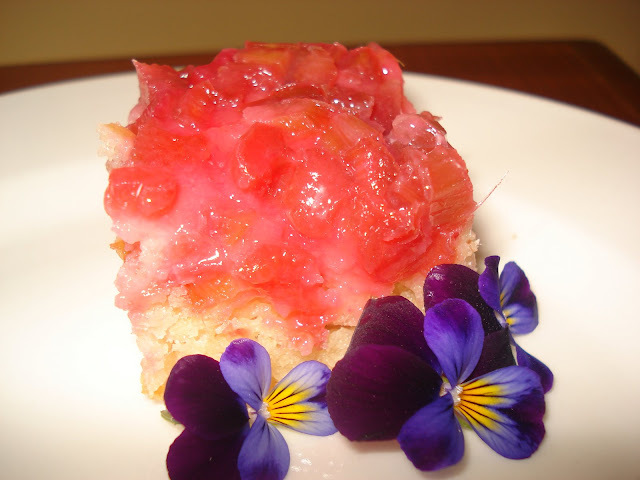 This recipe comes from my friend Caroline and I have enjoyed making them ever since. Add vinegar to milk and let it sit for about 10 minutes. Add the melted butter and milk and eggs to the dry ingredients. Mix gently, the batter should still be lumpy. Let the batter sit for about another 10 minutes or so, until you see tiny bubbles forming on the top of the batter. You may add blueberries or chocolate chips, be creative and add what ever you fancy. Add a little oil to pan and pour in a 1/4 cup of batter. Bake on one side till tiny bubbles form, flip for one more minute. When I make Mashed Potatoes I often make enough for leftovers if I know I am having company within a few days. This may sound odd. .. .but in a busy home it saves so much time. Prepare a serving dish by giving it a spritz of cooking spray. Allow mashed potatoes to soften enough to stir in cream cheese. Stir in 1 ounce of cream cheese per person. Using a 1/4 cup ice cream scoop, put scoops of potato in pan .. . I allow 2 stacks per person. Press in a 1/4 piece of Babybell Gouda cheese. Scoop one more mashed potato on top. Bake until heated through. . . .about 30 minutes at 350 F.
Bienenstich was a specialty of my husband's Aunt Sue and I think of her whenever I make it. Bienenstich is German for bee-sting and although the original recipe somewhere back in time may have had honey in it, this one doesn't. you add a broiled topping and cream filling. Sift dry ingredients and add to mixture, mixing only until blended. Scald milk (I do it in the microwave) and add butter, stirring until it is melted. Slowly add milk and incorporate into batter. Pour into a greased 8 inch pan. Bake at 350 degrees F for 25-30 minutes or until toothpick inserted in cake comes out dry. Mix all topping ingredients together and, spooning onto cake in small amounts, spread mixture gently over cake. Be sure to spread topping right to the edges of the pan. Place back in oven and bake until topping bubbles. You can broil it if you like but you will need to watch it carefully as it will burn quickly. When cake has cooled, put it in the freezer for an hour or 2. This makes it easier to slice the cake into layers. Remove cake from freezer and slice horizontally into 2 layers. Beat filling ingredients together until cream holds firm peaks. Fill cake with cream filling. Replace top of cake and freeze until firm. Remove from freezer and cut into serving pieces about 1/2 - 1 hour before serving. 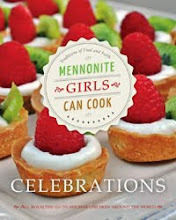 I realize there are several great banana cakes posted, but I figure what’s a Mennonite Cookbook without 8 versions of the same recipe? I like to made my own versions by comparing several recipes side by side, which is always a nice challenge. I am not sure where this title came from, but that’s the name it came with when I got it from my friend, Laura M.
Cream butter, adding in the sugar, eggs, vanilla and bananas. Combine dry ingredients and add to wet mixture alternating with sour cream. Spread one third of batter into prepared Bundt or tube pan. Sprinkle with half of the cinnamon/sugar/choc chips. Cover with another third of the batter, the rest of the sugar/choc chip mixture, then the final batter. Bake at 350° F for about 55 -60 min. Test for doneness. Cool 10 min before inverting onto plate. Cool before slicing. Mennonites loved their pickles .... a dinner was rarely served without homemade cucumber pickles, or beet pickles or watermelon pickles or sauerkraut! We are now told how much a pickled side dish aids in digestion. Isn't it nice to find out we did something right even though we didn't know why ?? My daughter recently shared this recipe with me that she was given by a co-worker. I'm sure it is one of those recipes that takes on many variations to suit the cook, but here is this easy summer salad as it came passed on to me. Boil marinating ingredients for a couple of minutes, cool slightly and then pour over the vegetables in large bowl or covered dish to store. 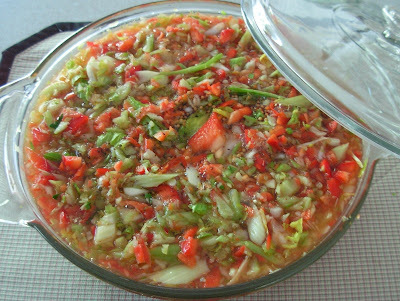 Let marinate in fridge for a day, then remove vegetables with slotted spoon, as needed, to serve. This salad will keep for a long time. 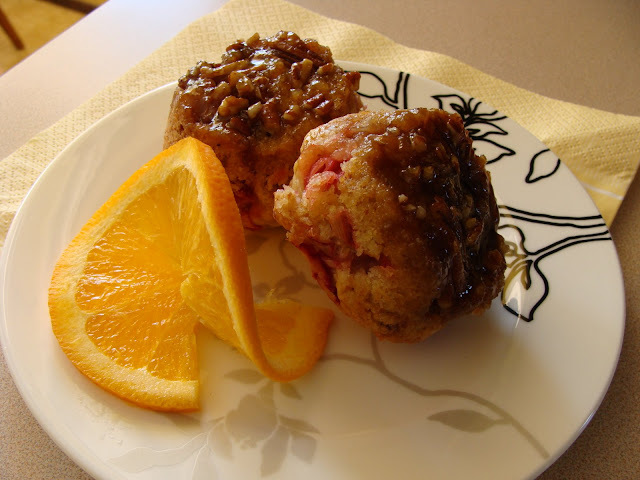 I have this recipe copied into my cookbook but have no idea where I got it..these scones are so light and delightful especially paired with fresh rhubarb jam. Combine dry ingredients including coconut, add butter pieces and pulse a few times if you're using a food processor and if not cut in with a pastry blender until no large butter pieces are visible. 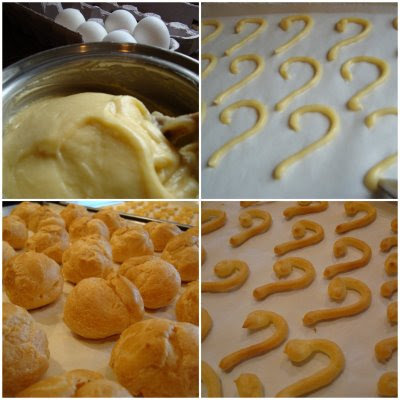 Combine cream and extracts and add to the dry ingredients and pulse a few more times till dough comes together. You may need to add a bit more flour at this time, just enough to handle the dough. Pat dough on baking sheet 1/2 inch thick, form into a circle and cut into 10 wedges. Brush with cream and sprinkle with coarse sugar. Mix the rhubarb and sugar together in a large saucepan and bring to boil on high. Then lower the heat to medium and boil for 10 minutes stirring frequently. Pour in jars and seal. Now that is simple, right? Yields: approximately 4 jelly jars. Excellent gifts too.. a few coconut scones wrapped up with a jar of fresh rhubarb jam..you will bless someone with that for sure! !